The holiday season is also in full swing. Which means party season is in full swing. Calendars are quickly filling up with all manner of gatherings and celebrations – dinners, cookie exchanges, happy hours, gift wrapping parties. That means it’s time to start stockpiling fast and easy appetizer recipes you can make after work or between activities. We’ve pulled together some of our quickest app recipes. They’re light on prep, but heavy on flavor. 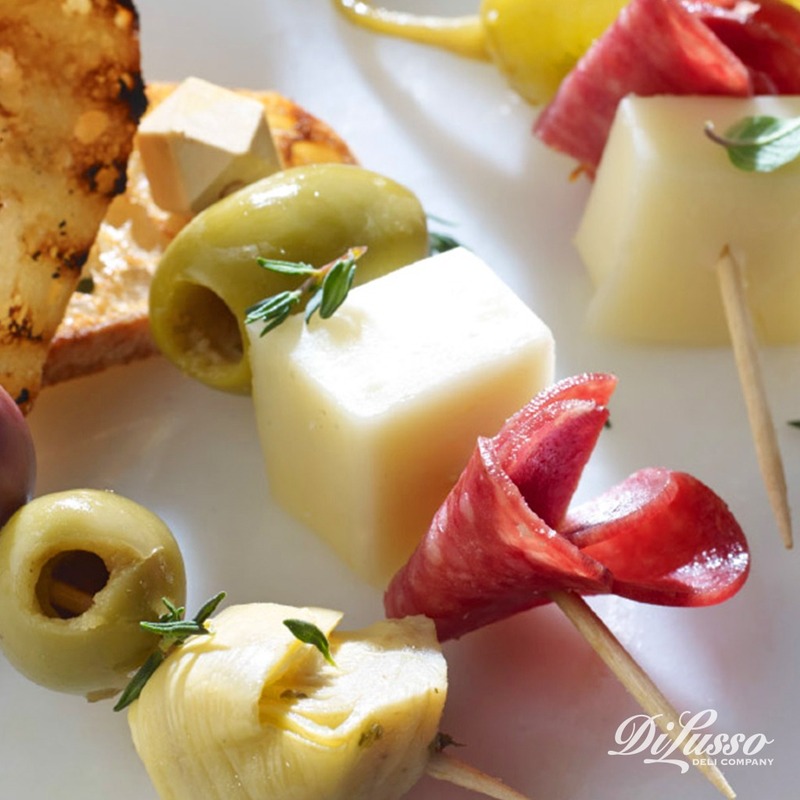 Plus, they’re easy to transport and can be served at room temperature so you don’t have to worry about keeping them warm, which is especially helpful if you’ll be traveling with your antipasto. You only need 5 ingredients to make this crisp, savory appetizer. 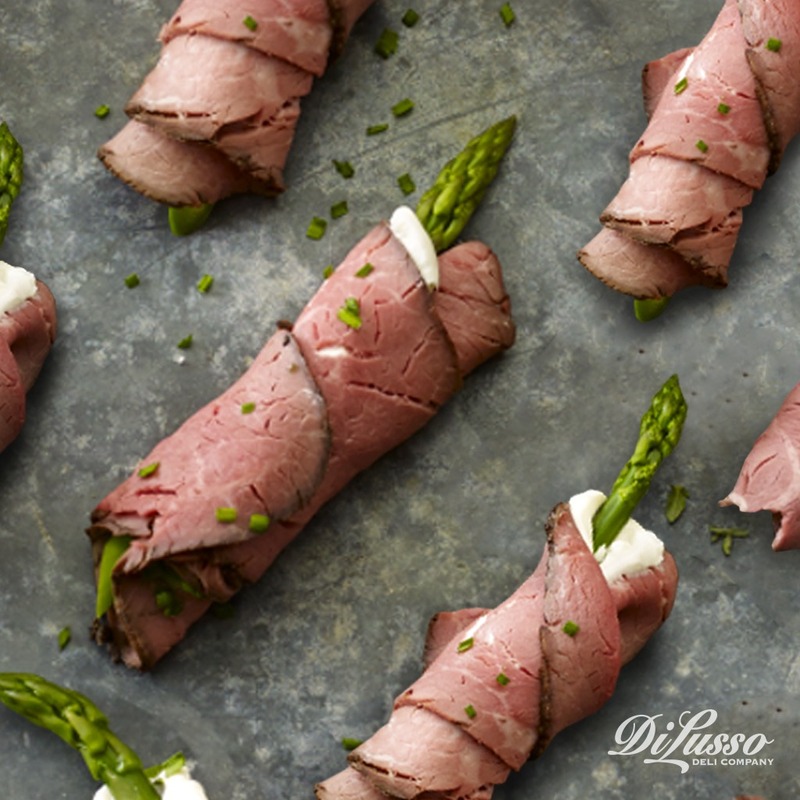 Snappy asparagus gives this finger food favorite a refreshing crunch while our horseradish adds a touch of heat. Then it’s all rolled up in our lemon and garlic-seasoned London broil roast beef. Finely chopped scallions, with their emerald coloring and refreshing flavor, make for an equally delicious and beautiful garnish. These roll ups look particularly lovely when arranged on darker surfaces because of how the colors contrast. Speckled with rich hues of purple, green and crimson, this appetizer is eye-catching yet pleasantly easy to make. No baking, chopping or wrapping needed. 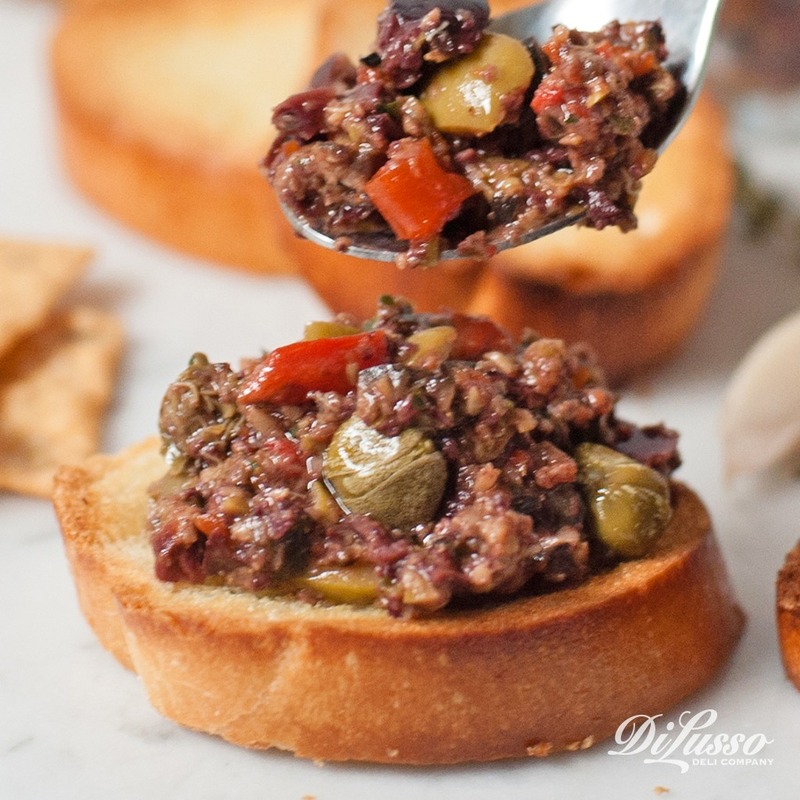 Just pulse a few ingredients in a food processor or blender and this olive tapenade is ready for its tabletop debut. Our favorite way to serve olive tapenade is atop baguette slices. Soft and porous, baguettes effortlessly soak up the briny juices, taking on all of their delicious flavors. To add just a touch of crispness to your baguette slices, spread with butter and broil in the oven for about 4 minutes, flipping once halfway through. 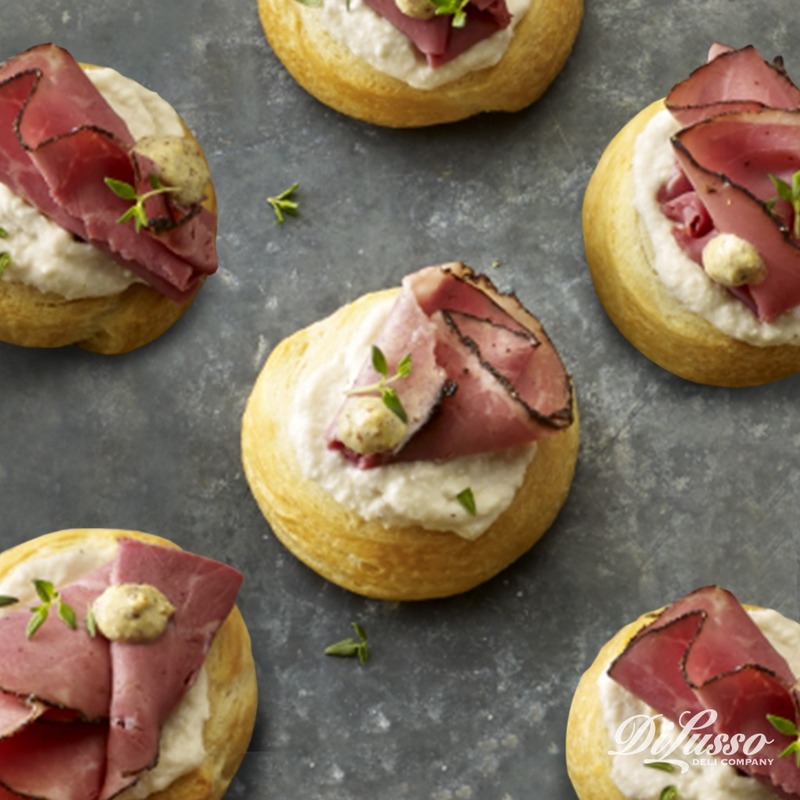 Elegant doesn’t have to mean difficult, and these chic crostini bites prove it. But these aren’t your ordinary crostini. 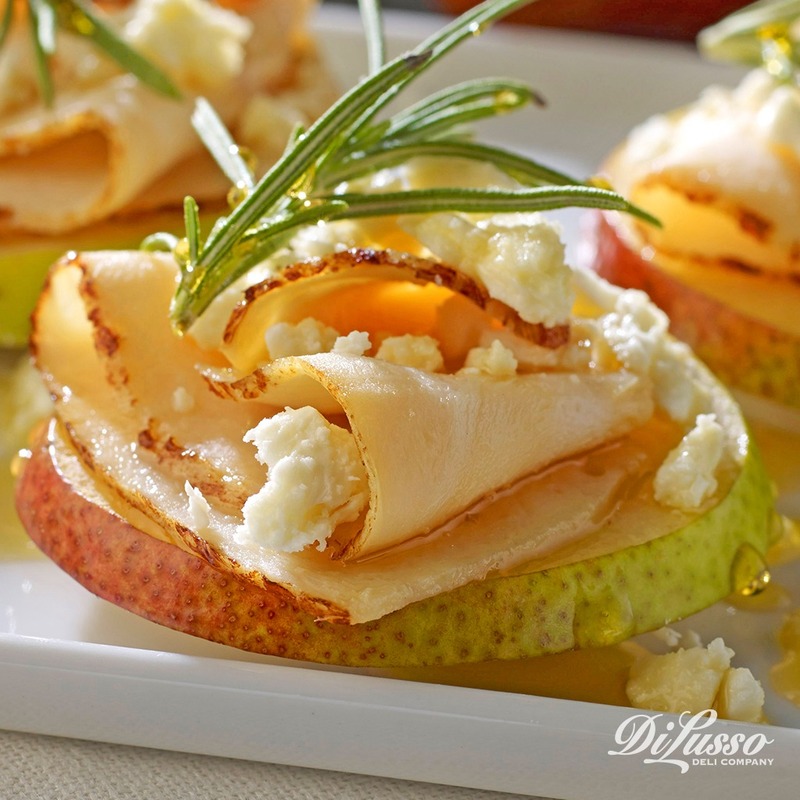 Instead of bread, we used pears for a sweet crunch and a pop of vibrant color. Trimmed with a tawny fringe, our savory turkey provides flavor variation. These little bites will quickly become a talking point for their unique flavor and presentation. Mandoline slicers are great for creating uniform pear pieces. We recommend slicing the our honey turkey breast thinly (3-4 thickness) to get a nice balance of flavors. For a more dynamic taste, sprinkle with fresh ground pepper and garnish with rosemary sprigs. In a pinch, skewers are always a good option. Just load them up with your favorite meats, cheeses and accoutrements. Mix and match ingredients to satisfy guest preferences. We used artichoke hearts, pepperoncini peppers, peppadews, and our swiss, Genoa salami and pitted kalamata olives on these. These little bite-sized rounds are perfect when you need to do some serious multi-tasking. While the crescent rounds are baking and cooling, you can get ready for the occasion (shower, get dressed, wrap a gift, etc.). If people are coming to your place, use this time to tidy up. For easy transporting, place completed rounds in muffin tins and cover with foil or plastic wrap. There are a few more reasons we love these rounds, namely their uniquely stacked flavors. Flaky crescent rounds lay a buttery base while our dijon and horseradish layer on the heat. Our thinly sliced pastrami (thickness of 1-2) stacks on the peppery flavor. And to balance it all out – fresh parsley. Now don’t forget to save these recipes so they’re easily accessible when you need them. Because you most likely won’t have time to go rummaging around for them when you’re in a hurry. Print them out, bookmark this blog or pin the recipes from our Entertaining board on Pinterest.